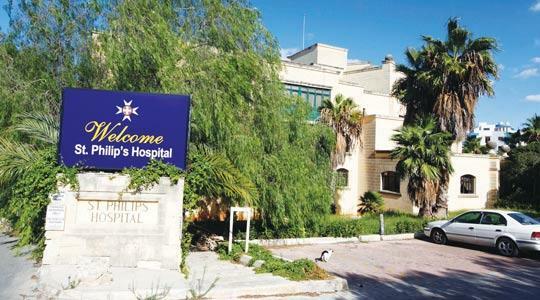 The presentation by maverick MP Franco Debono of a motion requesting that Parliament and the Auditor General should examine the proposal that government takes over St Philip’s Hospital is a step in the right direction. The decision for government to take over the private hospital was taken after negotiations between auditing firms representing government and the hospital owners concluded terms for an eight year lease with the option to purchase. No call for tenders was issued. The hospital owner however issued a call for an expression of interest in the acquisition of the hospital. There are various matters which the Auditor General should examine. First: is the proposed takeover of St Philip’s Hospital value for money or is it a political gimmick on the eve of general elections? 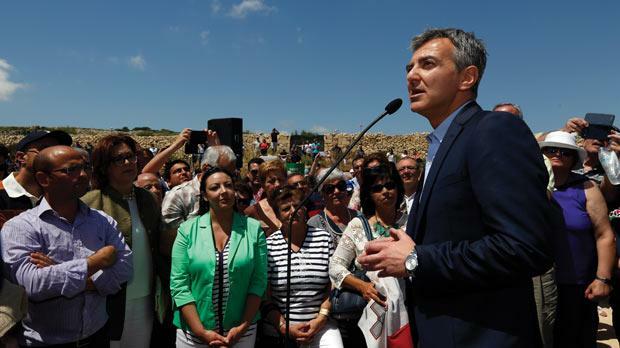 Second : isn’t the proposal to take over St Philip’s Hosptal just a confirmation of bad planning involved in the development of Mater Dei Hospital which has resulted in its being too small for the country’s needs so soon after being finalised? Who was responsible for the Mater Dei brief which has resulted in wards bursting at the seams and hospital corridors being transformed into wards? Who will shoulder political responsibility for this failure? Third: is it right for government to negotiate with those who are in breach of the Companies Act through non-submission of audited accounts for a number of years? Four companies are involved in St Philip’s Hospital. All of them have not submitted audited accounts for a number of years as can be noted through the list of documents available online at the Registry of Companies. The Golden Shepherd Group Ltd (C 14948) has last submitted its audited accounts on July 15, 2008. Private Health Investment Ltd (C 24386) has last submitted its audited accounts on February 1, 2007. Medicaid Ltd (C 5283) has last submitted its audited accounts on September 14, 2007. Biomed Laboratory Ltd (C 14303) has last submitted its audited accounts on October 12, 2007. The Golden Shepherd Group is owned by Frank Portelli, Private Health Investment Ltd and Medicaid Ltd. Private Health Investment Ltd is owned by Medicaid Ltd and Biomed Laboratory Ltd. Medicaid Ltd is owned by Frank Portelli whilst Biomed laboratory Ltd is owned by Frank Portelli and Medicaid Ltd. I await the Auditor General’s conclusions! I also look forward to Dr Frank Portelli’s comments on government’s health policy and its implementation. Il-Gvern jagħmel sew jekk isib mod kif jista’ jagħmel użu bl-aħjar mod tal-faċilitajiet tal-Isptar St Philip’s, propjeta’ tat-Tabib Frank Portelli. Biex jagħmel dan iżda għandu l-obbligu li jsegwi r-regoli finanzjarji. Fosthom li jrid joħroġ tender pubblika. Minkejja li jidher li n-negozjati mat-Tabib Frank Portelli jinsabu fi stadju avvanzat tant li bdew ħerġin id-dettalji fil-gazzetti s’issa ma ħarget l-ebda tender pubblika. Ħarġet biss expression of interest f’isem il-kumpanija reġistrata bħala sid l-isptar. Sid l-isptar talab sottomissjonijiet minn min hu interessat li jieħu l-isptar f’idejh! M’għandi l-ebda dubju li t-Tabib Frank Portelli jkun irid li jsir kollox above board. S’issa jidher li hu mexa sewwa imma l-Gvern għal darba oħra miexi b’disprezz lejn ir-regoli finanzjarji. Dejjem hekk jagħmel il-Gvern lejliet l-elezzjoni. (Id-darba l-oħra kien imiss lill-MEPA għal bosta irregolaritajiet lejlet l-elezzjoni!) Dan hu ħażin u għandu jkun it-Tabib Frank Portelli l-ewwel wieħed li jsemma’ leħnu fuq hekk. Wara kollox kien Frank li kontinwament semma’ leħnu kontra l-irregolaritajiet. Jiena naf lil Frank bħala persuna serja. Nittama li ma jiddiżappuntanix. Għal Frank dan hu l-mument tal-verita!